This website is owned and run by Twycross Zoo – East Midland Zoological Society Limited, a registered company in England and Wales. Registration number: 01060956. Registered charity number: 501841. Whenever you provide personal information we will treat that information in accordance with current UK Data Protection legislation and General Data Protection Regulation (GDPR) law. Where permission is gained to do so, Twycross Zoo will also use your data to send you relevant information about products, offers, news and fundraising. This will be sent to you via your chosen method of communication. Twycross Zoo will gain your clear consent but even after you have chosen to hear from us, you can, at any time, change your mind. Just email marketing@twycrosszoo.org and ask to change your preference. If at any time you wish to view the data held on you by Twycross Zoo, we will happily make this available to you within 30 days of request. To request your information please email marketing@twycrosszoo.org. Information is being collected by Twycross Zoo, its subsidiary companies and its supporting third-party partners including Green 4 Solutions and K3 Retail. We collect your information when you purchase a ticket or product through our website, over the phone with our booking office, or when donating to our charity. Twycross Zoo will not share your information with any third party without your express consent other than our third party partners detailed above. When deciding what to retain, we take into account what information we need to best provide you with information on our products, goods and services, manage your relationship with us, meet our statutory obligations and meet our customers’ and previous customers reasonable expectations. If at any time you wish to make a comment or complaint about the way we have handled or processed your data, please log your complaint to marketing@twycrosszoo.org. Please be advised that filming and/or photography often takes place at Twycross Zoo, and may be used by Twycross Zoo and its affiliates and representatives, to promote the zoo in news articles, web casts, advertising, social media, or other channels. When filming is taking place you will see notifications up around the zoo. If you do not want to be involved in any filming, please make yourself aware to a member of our team, who will advise you further. Any photography and videography you are asked to take part in will require your written consent. This will be stored for 2 years. By entering the zoo you waive your rights to any claims for payment in connection with any use, exhibition, streaming, web casting, televising, or other publication of these materials, regardless of the purpose or sponsoring of such use, irrespective of whether a fee for admission or sponsorship is charged. All content on this website, including text, photographs and graphics, are copyright of Twycross Zoo unless otherwise stated. Content from this website must not be reproduced, modified or replicated in any electronic or print form without our express permission. If you would like to use any images from this website, please contact us at info@twycrosszoo.org. 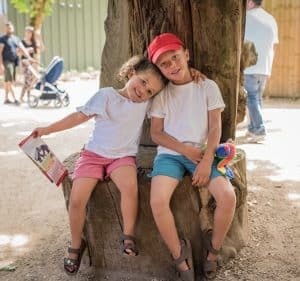 Twycross Zoo endeavours to make sure all information on this website is correct and accepts no liability or responsibility for errors and omissions on the website. Twycross Zoo will often provide links to third party websites, such as our conservation projects. Twycross Zoo assumes no responsibility for content on these websites. You will only hear from Twycross Zoo if you opt in in to do so. 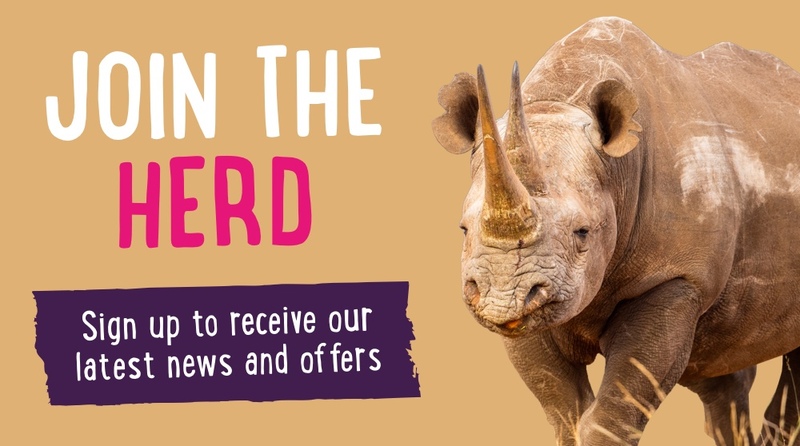 Twycross Zoo stores data for those who have subscribed to the marketing lists so that communications can be sent to you about relevant information, offers, news and events. 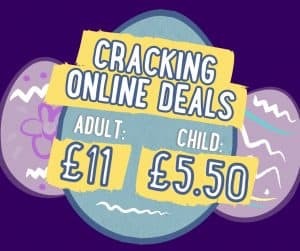 You, as our customer, reserve the right to unsubscribe from the list at any time by emailing marketing@twycrosszoo.org. You can also request to see the data held on you by emailing us and we will make that data available to you within 30 days of receiving the request. When making a booking with us, you are asked to provide your contact information so we can confirm your purchase. You may, during this process, opt in to receiving any marketing communication from the zoo. Cookies are an important part of the internet. They make using devices and accessing online information much smoother and affect lots of the useful features of websites. We collect your information through cookies when you are on our site and we also gain information from third party websites, mobile sites and from apps where we show our own adverts. We like to keep track of what parts of our website, information and links are popular and which ones don’t get used so much, to help us keep our information relevant and up to date. We do this by using cookies and related advertisement technology. Strictly necessary. Required for the operation of our website. They include, for example, cookies that enable you to log into secure areas of our website, use a shopping cart or make use of e-billing services. Targeting. These cookies record your visit to our website, the pages you have visited and the links you have followed. We will use this information to make our website and the advertising displayed on it more relevant to your interests. We may also share this information with third parties for this purpose. You can find more information about the individual cookies we use and the purposes for which we use them below, which will be updated periodically as we start using new cookies and stop using old ones. We use Google Analytics and Google Tag Manager to gain a better understanding of how users browse and interact with our website in order to improve our website and offer a better user experience for everyone. _ga: Used in combination with the _gid to distinguish users and generate statistical data. _dc_gtm_UA-###: Your unique Analytics ID used by Google Tag Manager to generate visitor and statistical data. Crazy Egg is a tool used by this website for analytical purposes to greater improve the performance and design of the website. Crazy Egg provides a host of interesting information about users, it allows us to see what's hot and what's not, knowing exactly where our visitors are coming from with tools like heatmaps, scrollmaps, A/B testing and recordings. The cookies set by Crazy Egg may contain a cookie value that allows Crazy Egg to detect if the Client Site Visitor is a returning Client Site Visitor or a first-time Client Site Visitor. No Personally Identifiable Information relating to the Client Site Visitor or details about our site’s content or statistics are stored within these cookies.